The Cross Point campus was recently renovated to breathe new life into an existing suburban office building. At the heart of the campus is a protected courtyard shared by the campus tenants. This new space adds unique amenities including a variety of seating options; a pedestal Ipe deck; lush planting with a long season of interest; a laptop bar rail with seating; and general site lighting. 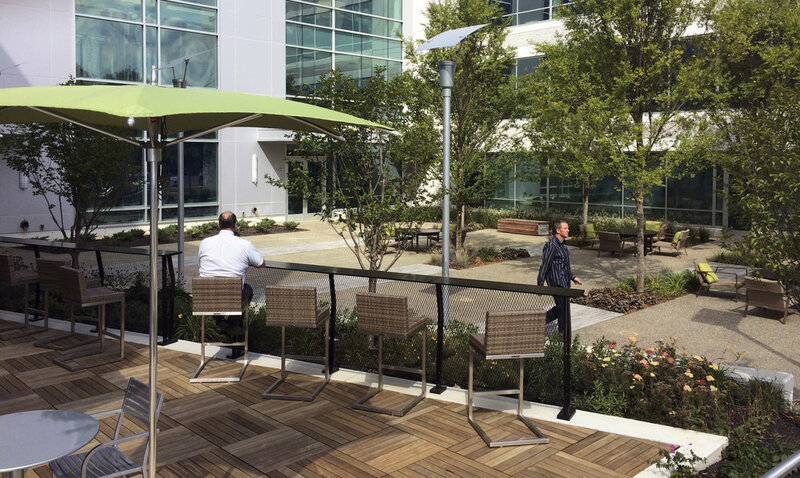 The design of the courtyard promotes a healthier, more relaxed working environment.